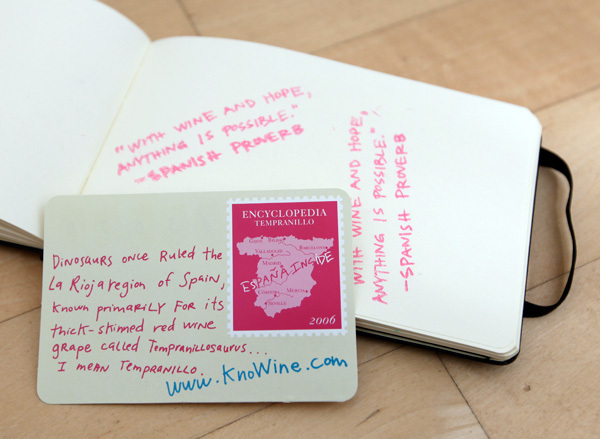 Inspiration + awesome web design + mind blowing packaging design + wine + customized moleskine + education + amusement? Does it really get any better? 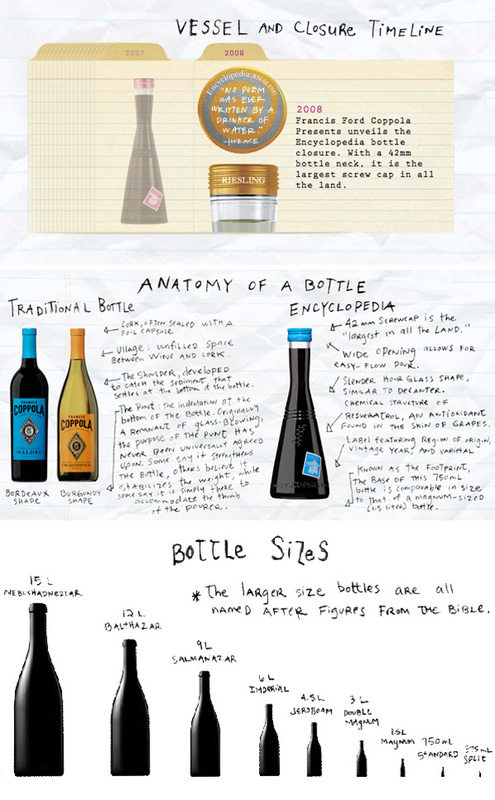 I don’t even know where to start talking to you about how impressed and fascinated i am with the Francis Ford Coppola Encyclopedia site KnoWine.com ~ or the fact that they are making wine even more accessible by TEACHING people about it, with a playful site filled with videos, info, and a grade school feeling lined notebook paper on wooden desk feel! 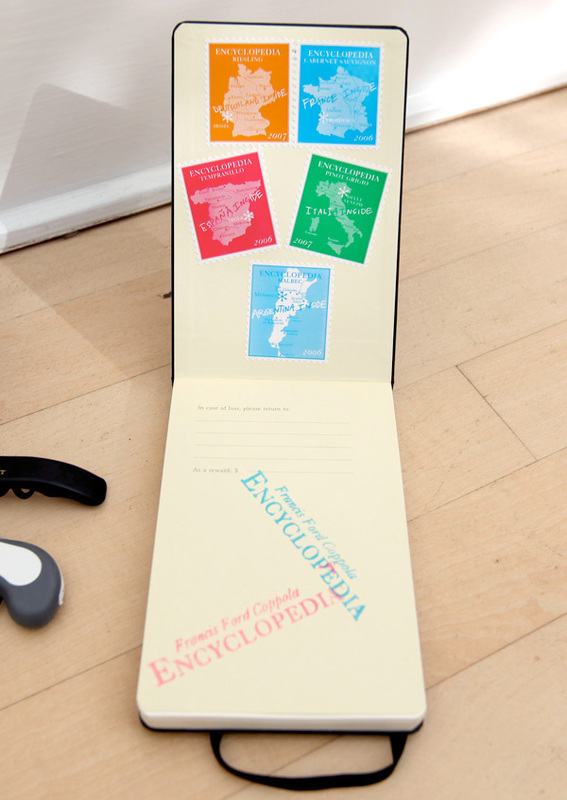 Super cool is that they sent people off to various regions for 30 days to learn about the wines and document their adventures in text, pics, and videos. But seriously, lets talk packaging. 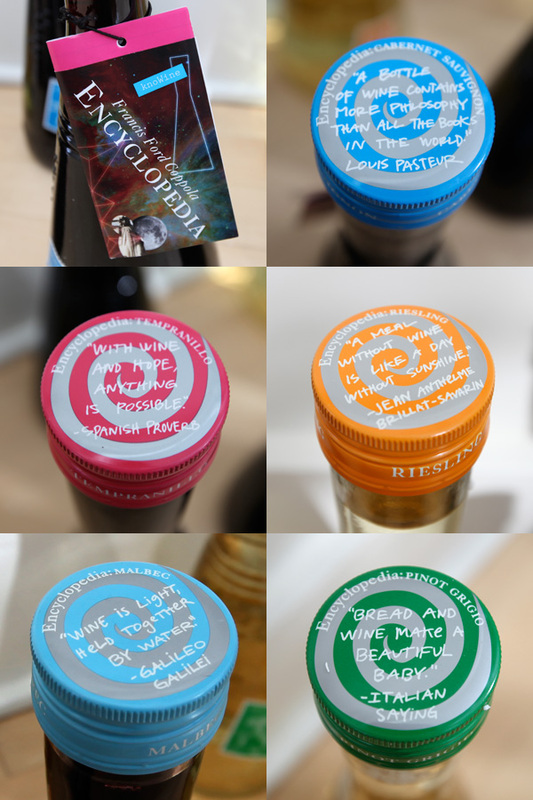 Who knew making the “largest screwcap in all the land” could be so beautiful? As soon as i pulled the bottles out today i was already scheming ideas for what i could do with the gorgeous carafes… so, giant screwcap + awesome carafe bottle shape, it feels like an Erlenmeyer flask meets decanter… just enough glass details to keep it interesting (from the ridges to the text around the base… and that really sweet chemical structure of reservatrol, the antioxidant found in the skin of grapes)… not to mention the branding of using stamps with the countries the wines come from instead of labels! Oh, and then there’s also the inspiring quotes on the lids of each bottle that can’t not bring a smile to anyone’s face when they are about to open it! 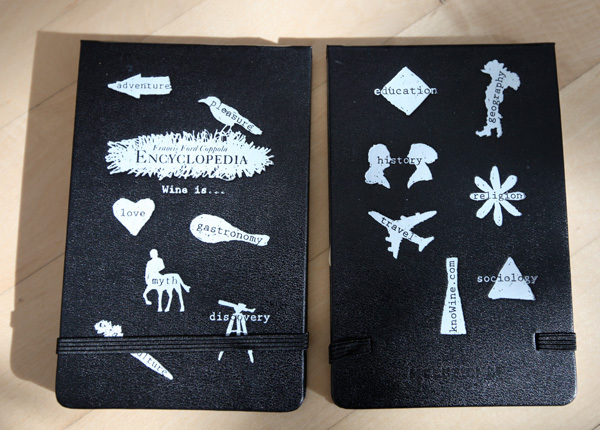 And to top that, they sent over a few customized Francis Ford Coppola Encyclopedia customized moleskines! And they go beyond the usual cover art ~ they actually stickerize the inside cover with the stamp/labels from each region as well as stamp quotes and more randomly throughout! 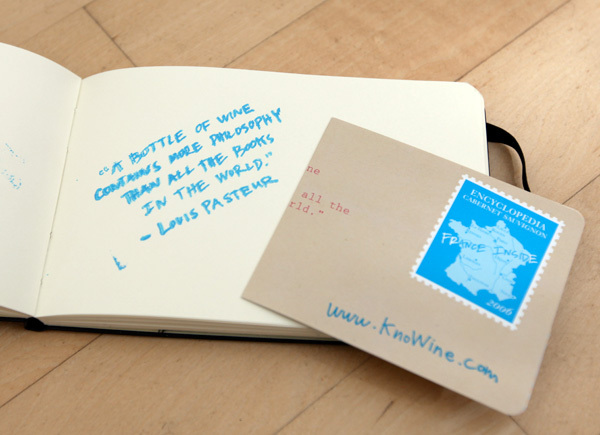 I think they said it best: “Simply stated, wine is discovery. 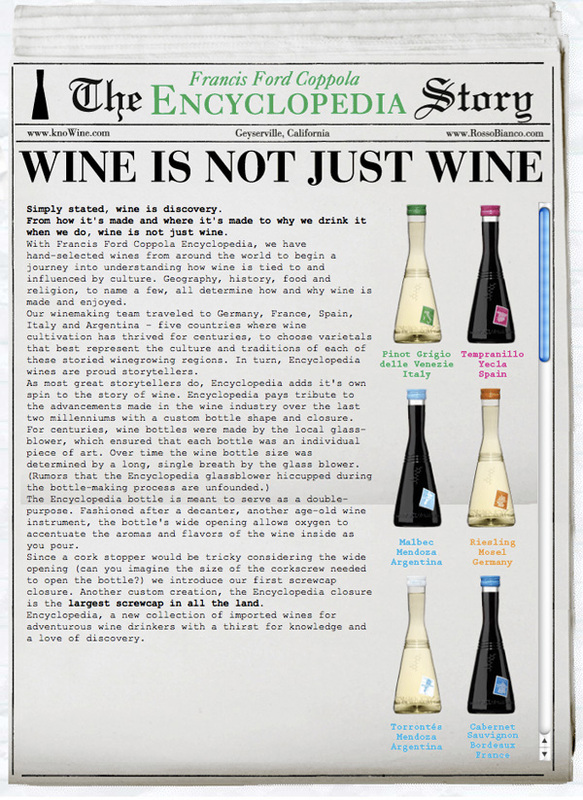 From how it’s made and where it’s made to why we drink it when we do, wine is not just wine.” So take a look at MANY pictures on the next page, from close ups to the bottles and notebooks to screenshots and diagrams of their design choices. So, they really weren’t messing around when they sent over a surprise… of 4 HUGE boxes, this is only a portion of the goodies that landed here today! The little touches like the chemical structure are just awesome! Pardon the photoshopping on this screenshot to show you the whole story ~ why rewrite what was more fun to read in this screenshot? 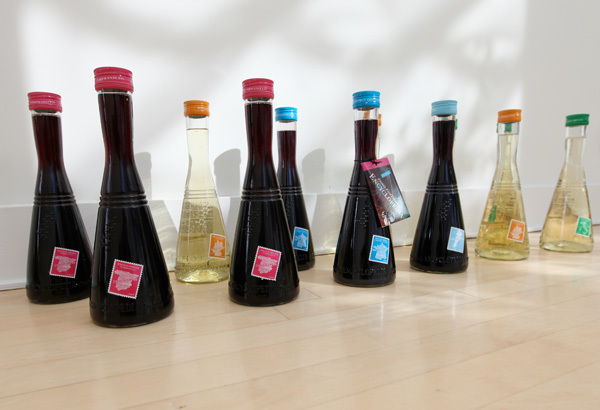 To be thorough, had to show you a nice close up of the gorgeous bottles! 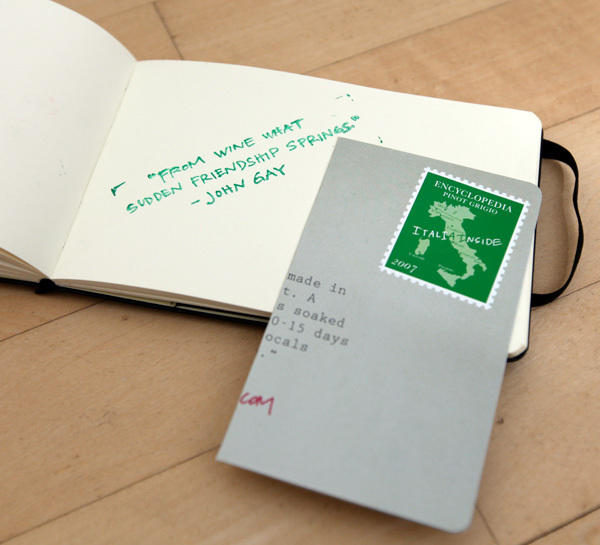 Here are more quotes and cards found inside! 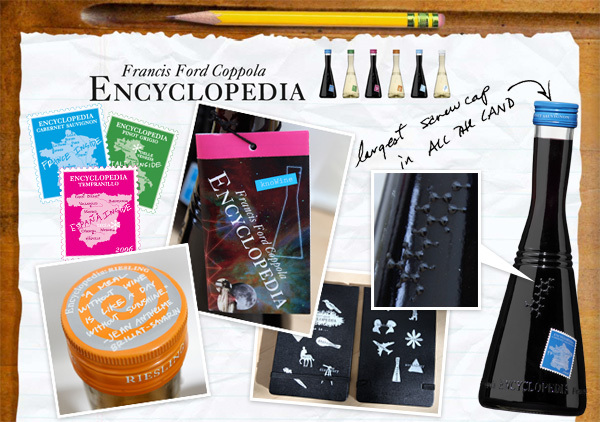 If you want to find out more ~ go experience the Francis Ford Coppola Encyclopedia site KnoWine.com yourself! 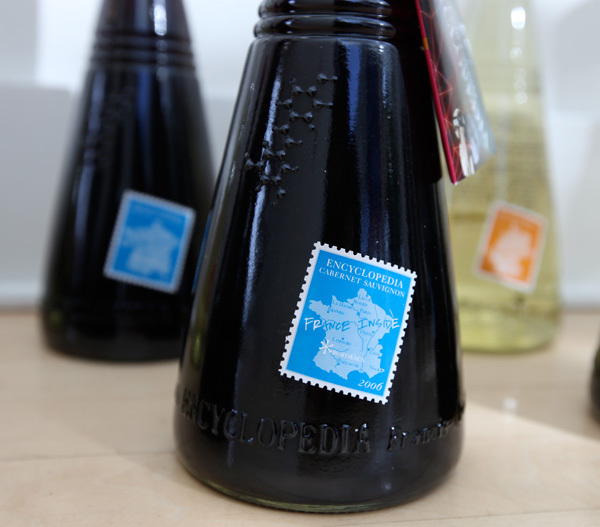 By the way I am going back to the store to buy them out of encyclopedia wines. 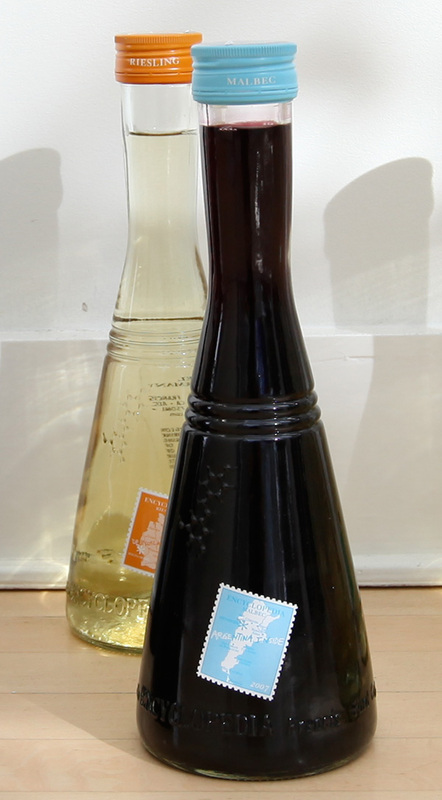 I bought 2 bottles one of them the cab sauv and the other the reisling. Tried the the cab and I liked it. Love the bottle because in our going green stage it can be recycled into many things, such as water decantors, vases, decorative candle stick holders etc…. With this economy, it’s a good deal for a good wine. Granted I am not a wine snob, if it tastes good I am happy! By the way I found them at Big lots for 5 bucks. 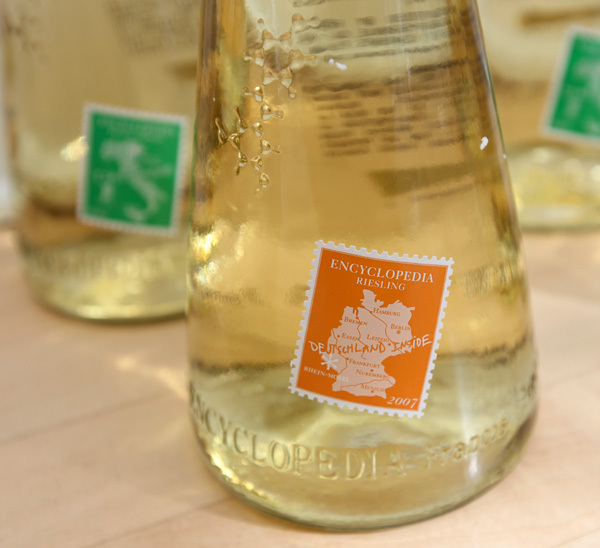 Maybe Coppola lost money because of the screwtop, I think it is great, kind of like snapple with a kick. My wife came home with a case of these wines and I have yet to open one which isn’t seriously compromised by air during shelf life. I love the other Coppola wines and besides my drinking enjoyment, also use them for my cooking but these wines leave me disappointed and discouraged that more research wasn’t done to the closure or preparation prior to closeure that would prevent such an early end of good drinking age. The red wines which I have tried so far smell and taste OLD, if you know what I mean. 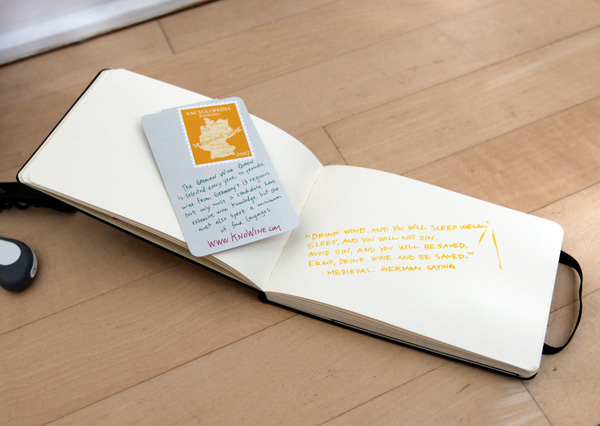 How do I get one of these wonderful Moleskines?! Can they be purchased somewhere? i found this wine last week at the store was totally excited! i had no idea if it was going to taste good but i loved the packaging and bought it anyway. turns out the wine isn’t half bad. it’s not amazing but it’ll do considering it’s like $12/bottle. i just LOVE LOVE LOVE the bottle. i want to collect them all. thanks for featuring this. more people need to know about this wine!